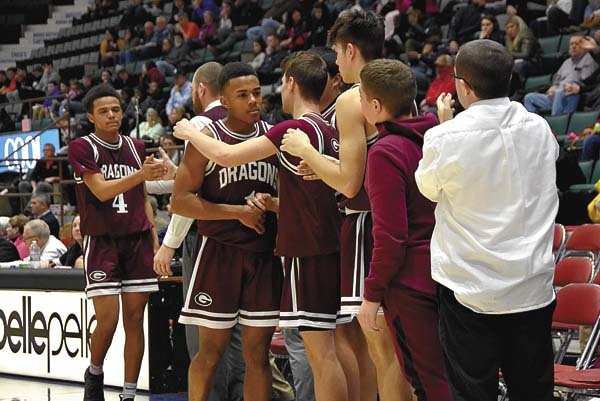 GLENS FALLS — The Gloversville Dragons quest for their first sectional title in 30 years came up short Saturday at the Cool Insuring Arena. 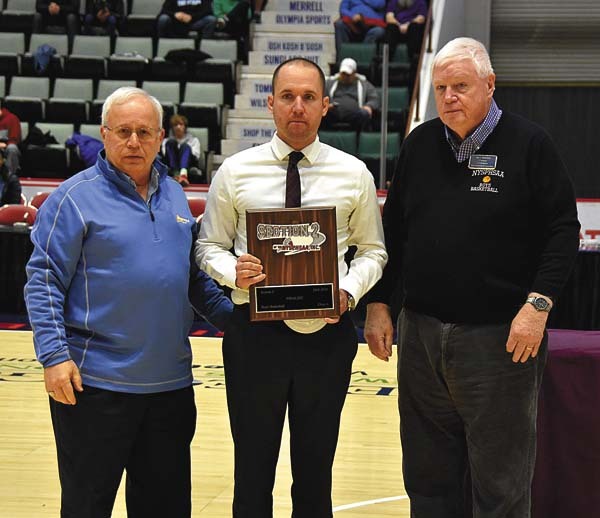 Facing top-seeded Troy in the Section II Class A championship game, the second-seeded Dragons matched the Flying Horses in the opening quarter. However, a strong second-quarter surge gave Troy enough breathing room to pull away to a 69-55 victory to claim its first title since 2016. 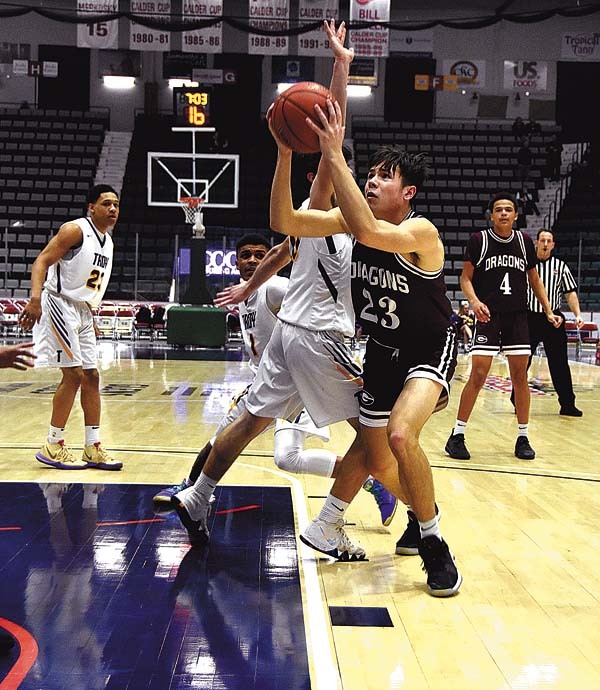 Playing in its first sectional title game since 2009, Gloversville got off to a quick start with Dante Bouchard hitting a 3-pointer just over a minute into the game, which Troy’s Alex Wolfe matched on the next trip down the floor. 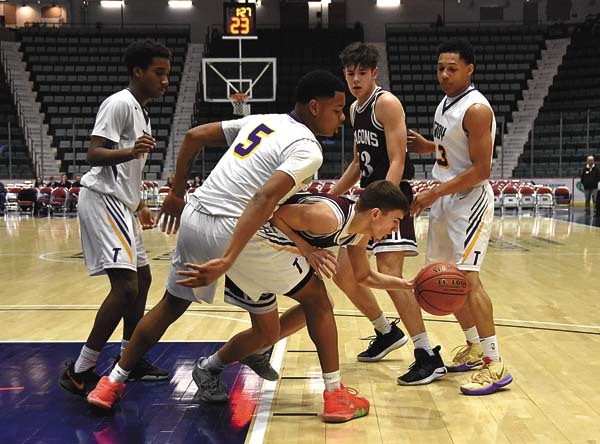 The Gloversville defense kept the Flying Horses away from the basket, but the Troy shooters hit all their first-quarter points from behind the 3-point line. Joey Rowback hit a 3-pointer,. a pair of layups and found Kadyn Ruggeri with a long pass for a buzzer-beating layup to put the score at 12-12 at the end of the opening quarter. 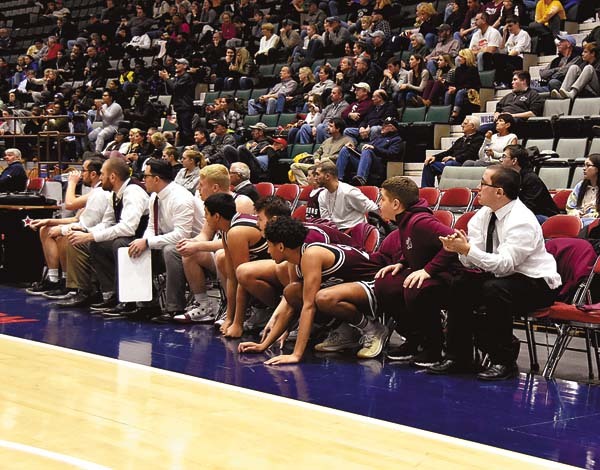 Gloversville took the lead early in the second quarter on a basket from Julien Deumaga, before Jadon Cummings hit Troy’s first non-3-point basket. 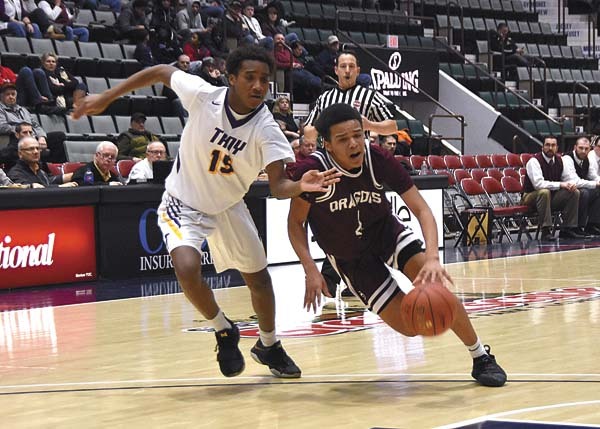 Bouchard completed a three-point play to put Gloversville back on top 17-15, before Nazaire Merritt hit a free throw and a 3-pointer to put the Flying Horses back in front and spark an 18-6 run to help Troy take a 33-23 lead into the locker room at the break. Bouchard found his scoring touch in the third quarter, hitting for 17 of the Dragons’ 20 points in the quarter with Anderson Jones hit a 3-pointer for the balance. With the surge, Gloversville trimmed the Flying Horses lead to single digits, 50-43 heading into the final period. Zaveon Little put Troy back up by 10 with a 3-pointer in the opening seconds of the fourth quarter that Bouchard answered with a basket to put the score at 53-45. 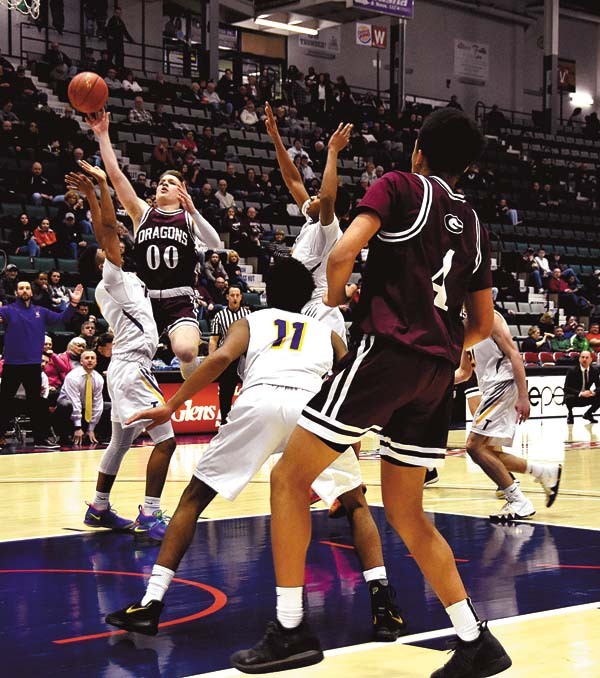 Gloversville could get no closer as Merritt converted on 7-of-10 free throws down the stretch to lock up the Class A title for Troy. Bouchard finished the game with a game-high 31 points, including five 3-pointers, while Rowback finished with 11 points, eight rebounds and a block and Ruggeri added six points, four rebounds and three blocks. Deumaga added 10 rebounds, and four points, while Jones had three points and four rebounds. Bouchard finished the season with 101 3-pointers and boosted his career scoring total to 1,486, while Rowback increased his career total to 1,047 as they both closed out their junior seasons. Coach Kucel commented on the final game in maroon and white for seniors Deumaga and Andrew Stanfield. Latyce Faison led the Troy scorers with 26 points, while Merritt hit for 16 points and nine rebounds and Jay-Quan Moore chipped in with nine. 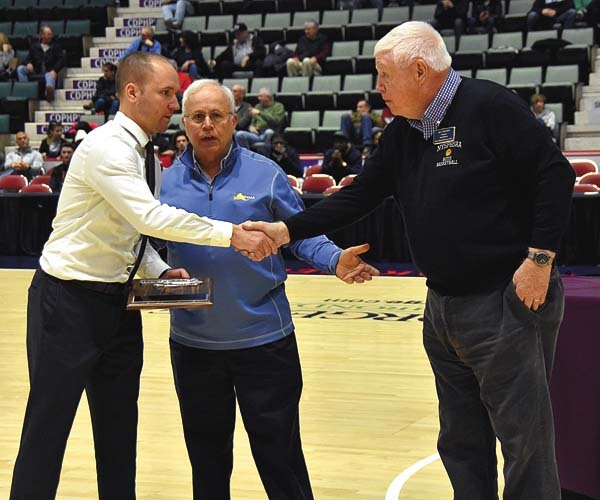 Merritt was named the Class A Tournament MVP, while Bouchard and Rowback were named to the all-tournament team from Gloversville, along with Troy’s Faison, Mohonasen’s Chase Monroe and Mekeel Christian’s Osvaldo DeJesus. Troy (19-4) advances to play Section X champion Franklin Academy of Malone (16-7) in the state regional semifinals at 7 p.m. Wednesday at Saratoga Springs High School. Gloversville closes out its season with a 20-3 record with two losses to Class B champion Glens Falls and one to Class A champ Troy. Bouchard 8-10-31, Deumaga 1-2-4, Ruggeri 2-2-6, Rowback 4-2-11, Jones 1-0-3. Totals: 16-16-55. Johnson 2-0-4, Merritt 2-11-16, Moore 3-0-9, Cummings 2-0-4, Wolfe 2-0-6, Faison 10-0-26, Little 1-1-4. Totals: 22-12-69. 3-point goals: Gloversville 7 (Dante Bouchard 5, Joey Rowback, Anderson Jones); Troy 13 (Latyce Faison 6, Jay-Quan Moore 3, Alex Wolfe 2, Zaveon Little, Nazaire Merritt).